On our very first visit to this area when my parents were told they would be transferred here, we went for a drive to Greenwell Point. We drove past this little club with a Chinese restaurant attached and thought it looked like a place we should try. Little did we know that we would be eating there at least once a month and sometimes once a week, for the next 10 years. 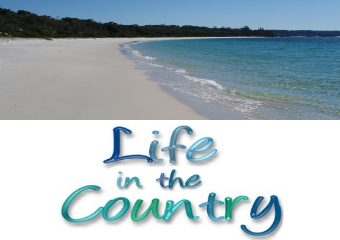 It is our go-to place to take our visitors. There are two tables that seat 10, if you are bringing a large party you *always* want to make a booking here. If you are visiting in school holidays, you NEED to make a booking or else you might not get a table, even for a small party. 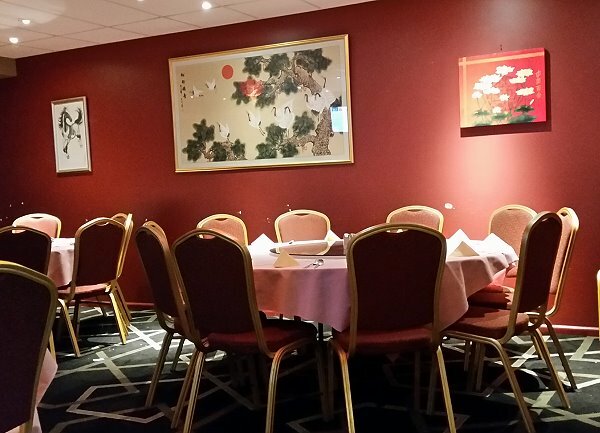 If you cannot get a table inside the restaurant, you can always order take away and eat it out in the bowling club or take it home with you. There are usually two sittings at most of the tables – one between 5-630 and one between 7-8.30 – so if you can’t get a table at the time you want, try asking for earlier or later. Outfit wise, I recommend layering up, sometimes the wind coming off the water can be cool and if you are sitting near the large glass windows that area can sometimes get a little chilly. 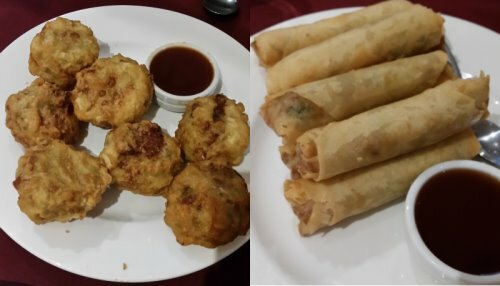 For starters we usually pick one of two things – Sang Choy Bow, or Mini Spring Rolls and Fried Dim Sims. Note – you only get 6 of each – we specifically asked for 8 on this occasion as there were 8 of us. You can also get the Dim Sims steamed, which we have done before too. They come with a sauce similar to sweet and sour sauce. We’ve tried all the starters and they are all fantastic, the soups are also great. The prawn toast is delicious too. 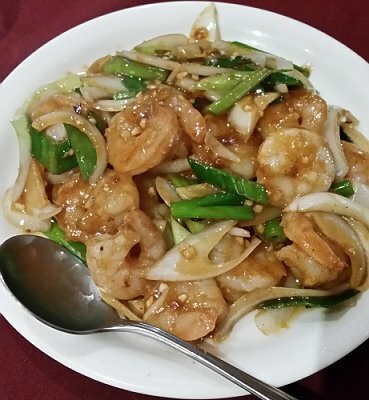 King Prawns in Garlic Brown Sauce was once brought to us by accident. It is pretty amazing to say out of 10 years of dining here, that was the only time we ever had an item brought to us by miscommunication with the order taker. 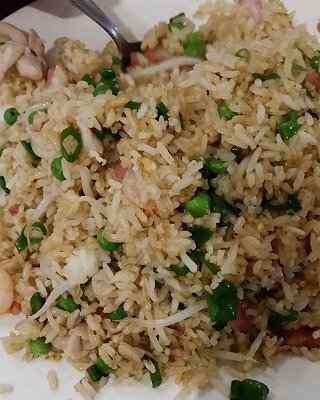 We were very thankful it happened, because this is 100 times better than regular garlic prawns and we have been ordering this dish ever since. 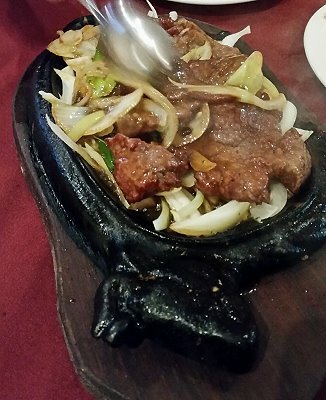 There are several sizzling dishes on the menu – here you see Sizzling Steak. I will say three things. Do not touch the plate, because it is incredibly hot! Be careful where you put this on the table, because tiny sizzling spatters will fly into the air, and you will not be moving this plate. If you are wearing glasses, do not sit near this dish. This is Fried Duck in Plum Sauce. 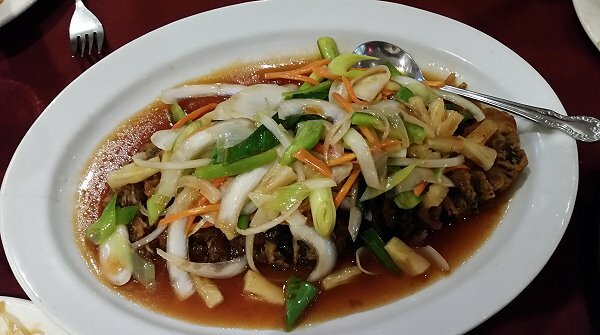 This dish is a real star, especially if you like duck. I do not like duck, but I will still eat this dish. If you do not like duck, but people with you do like it and they order this, try a piece and see if you like it. You might be surprised. I do not usually like a lot of pork, but I enjoy this dish, especially the smaller crispy pieces. 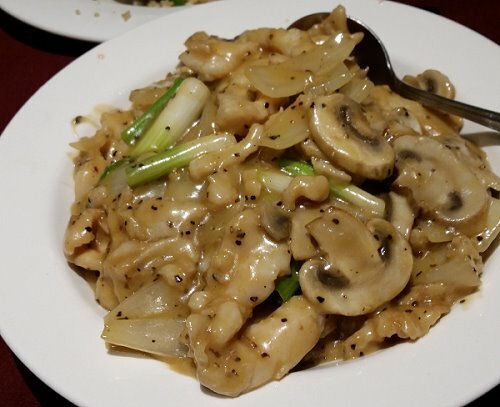 The Salt and Pepper squid is incredible, it has never been anything but incredible. Just don’t order it as take away, because it loses the crispiness of the batter. If you want squid as a take away dish, try one of the many other variations on the menu. This is our most recent star dish – butter pepper chicken. I’ve never seen this on a menu anywhere else, the sauce is a combination of butter and pepper, which does not sound like a good thing to order. However something happens here – perhaps the pepper cuts through the richness of the butter, or maybe there is another secret ingredient doing that job.. it is amazing. The mushrooms are amazing as well. With so many visits over the years, we have tried almost everything on the menu at least once. We like to order several mains and rice and share what we’ve ordered. We have gone through stages where one particular thing would have to be ordered on every visit, and then we’d try something else and move onto that. We are not big on ordering dessert here – they do have fried icecream and we’ve had it and enjoyed it. The Bistro out in the club does some awesome desserts if you are looking for something a little more fancy than the desserts offered at the Chinese. We have never eaten at the Bistro because the Chinese is just too amazing. You should be aware that my Dad declines the concept of this review. When I started taking food photos, he asked why I was doing that, and I said I was going to write a review because nobody had reviewed this place on Zomato – it is on Tripadvisor. “No, don’t do that” Dad said. “If you tell everyone about this place, we won’t be able to get a table anymore”. Sorry Dad, the food here is so good, the world needs to know about it. :) We’ll just have to book a little earlier. I will be doing a few more local food reviews with the holiday and tourist season coming up – important to note – We always pay for our food. Nobody pays me for writing these reviews. Sadly nobody asks me to review their restaurant/cafe/food place as yet. If asked, I will review a food place, but I will not accept payment for any reviews. I will review freebies or free items but I will always make it clear if something is free. You might be interested to visit my disclosure page if you want to know more.